isolina speaks with the chaise loungue podcast host, nick may, about her ORIGINS and the interior design business in the bay area. our submission for CONTEMPORARY bathroom design for luxe red readers choice awards 2019. this impressive powder room is part of our integral interior design and architecture detailing for a single family house made by architects herring & worley. This impressive project that combines architecture, landscaping and of course interior design for a luxury penthouse in Valdebebas made by Cano and Escario Arquitectura in collaboration with iconno studio, our partners in madrid. These architectural alternatives to the traditional kitchen island are space-saving and chic. collaboration with iconno studio in madrid. this remodel plays with sliding panels to enclose and open spaces creating new spaces and allowing the natural light inside every room. Our work was selected by the dering hall editorial about wine rooms and displays. 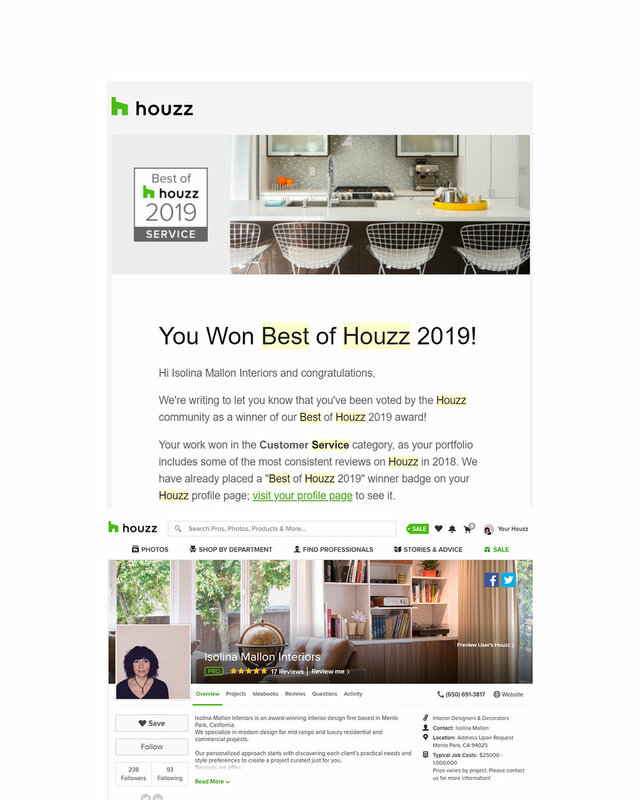 The 7-year old interior design firm was chosen by the more than 40 million monthly unique users that comprise the Houzz community from among more than 2.1 million active home building, remodeling and design industry professionals. take a look at our luxe red readers choice awards. new construction family home with a cutting EDGE architecture by herring & worley and integral interior design and architecture detailing by isolina mallon interiors. 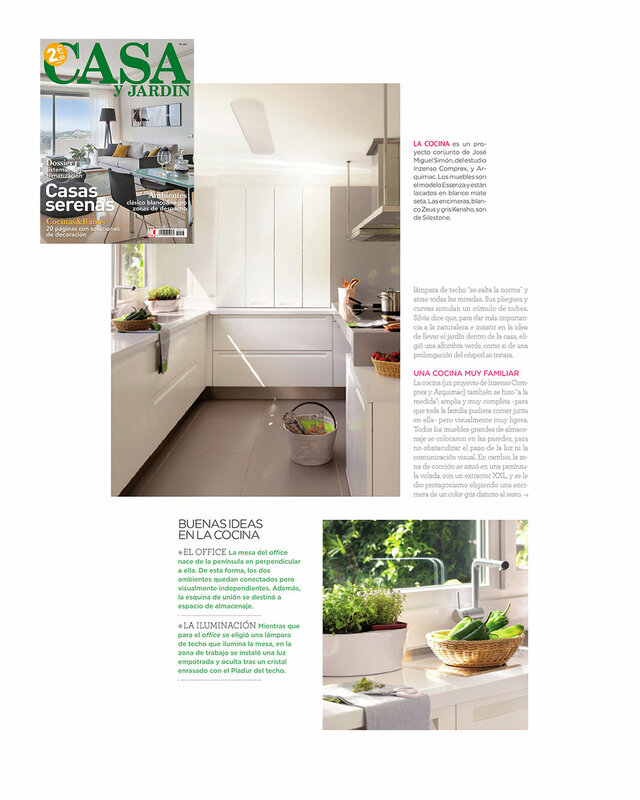 our kitchen project was featured by casa y jardin spain. this kitchen was part of a remodeling project featuring a floating peninsula and a dining table for all the family. 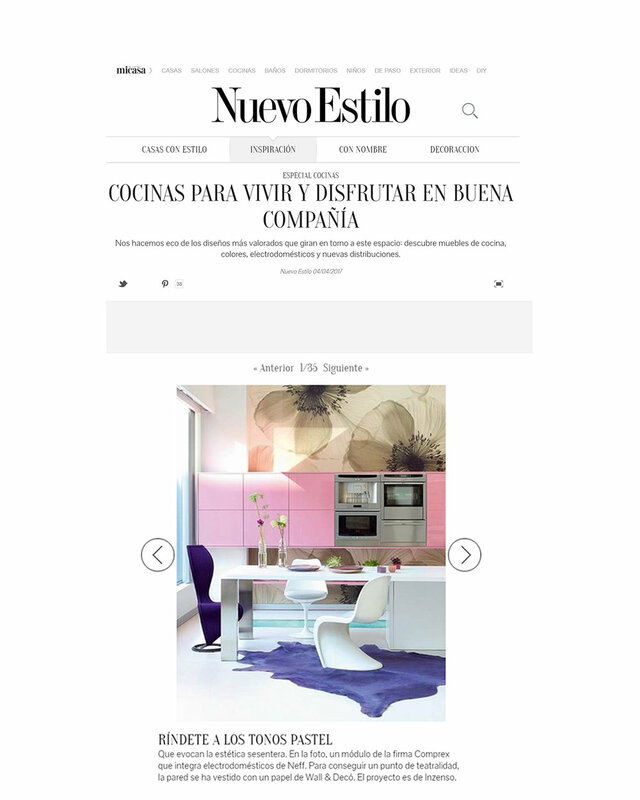 we are between the top interior designers worldwide speaking about our personal vision for the color of the year 2019.
this remodel project included an amazing kitchen designed AROUND a big island. features a bold white and black mural wallpaper that adds the pop touch to the design. 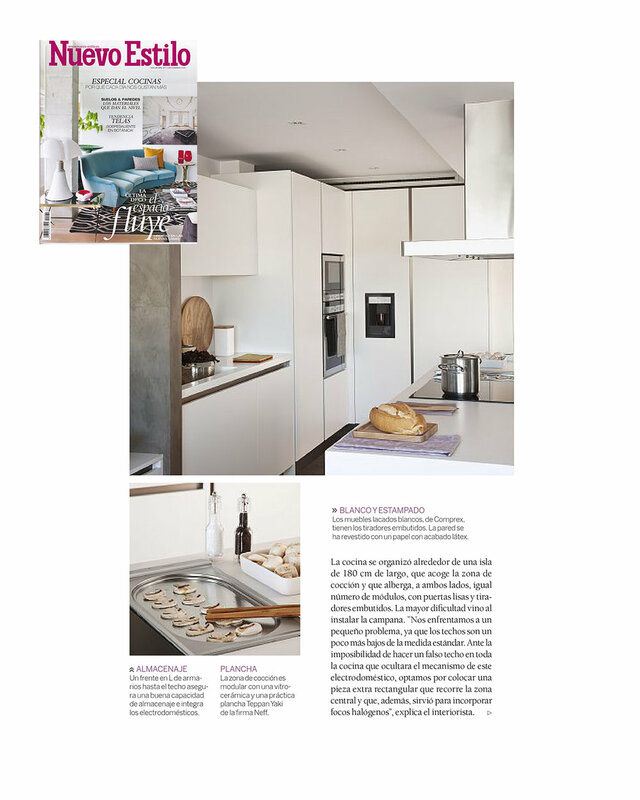 editorial featuring one bedroom with a beautiful wallpaper. the studio was featured on dering hall as one of the interior designers to follow in 2019.
badeloft narrowed down a list of the best interior designers in san francisco and we are proud to be in it.